They're mammals and they have to get to the surface to breathe air periodically. And a lot of them like everyone's favorite, the bottlenosed dolphin can only hold their breath for seven minutes or so. So how's a poor cetacean supposed to get some shut eye? Their brilliant answer? Shut one eye at a time. While sleeping, dolphins let one hemisphere of their brains nod off while the other half keeps an eye out for trouble. Literally. If the left brain is sleeping, the right eye stays open and vice versa. So they always know when it's time to surface and breathe and when to get to the heck out of dodge. They seem to switch off every two hours or so until they get a full eight hours a day. 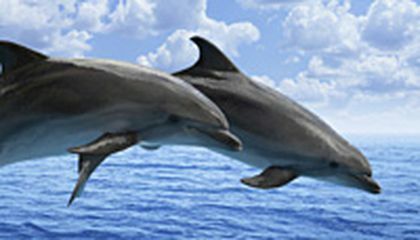 Dolphins are similar to humans when it comes to sleep when they sleep one hemisphere of their brain allows them to be able to fall asleep while underwater they are genetically different than fish in that aspect. Omg! I din't know dolphins sleep. But apparently they sleep with one eye open and one eye shut. Half their brain is off and half is on. That is pretty cool. I wish us humans could do that, well at least I wish i could. That's cool that a dolphin can sleep with one eye open. I never really knew that about dolphins! So glad this information was here and it makes me want to know about other odd and interesting things that dolphins do, learn more about the mammals that live in water. This is really cool. I wish I could sleep with one eye open. I could still do a lot of stuff while half my brains sleeping. That is amazing that a dolphin can sleep with one half of there brain at a time and still be able to function with the other half of there brain. They always will able to be aware of there predators even when they are asleep. I just think it is funny that people say to sleep with one eye open if something bad might happen because that is exactly what dolphins do. It's a very smart solution to their problem, and even though that's just the way they live and they didn't actually come up with it, it's still smart. This article was very interesting. I knew dolphins were mammals and mammals are usually land creatures. It's amazing how they can live in a water habitat and still find away to adapt. I never really thought about how dolphins sleep. Now that I know how they do it I'm stilling questioning how they are able to shutdown half their brain. It would be pretty useful if humans could do the same. I also wonder if more sea creatures live this way. This article is about dolphins and how they sleep. The dolphins go to sleep by keeping one eye open so they can sense danger and they let the other eye nod off to sleep. I like this article because I think it is funny that dolphins don't sleep with both eyes closed like we do. 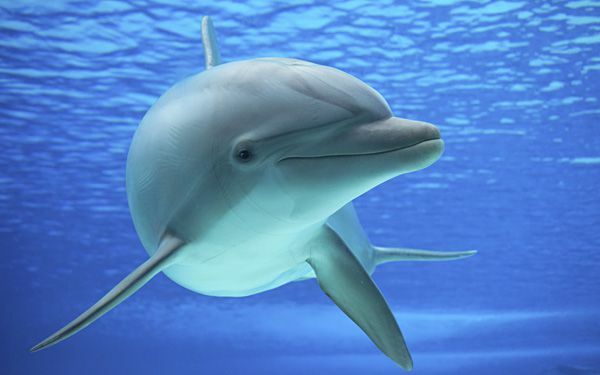 I would think dolphins are like fish and are suppose to breathe underwater but they can't. I think that is interesting how only one part of their brain can go to sleep and the other stay awake and look out for trouble and air.